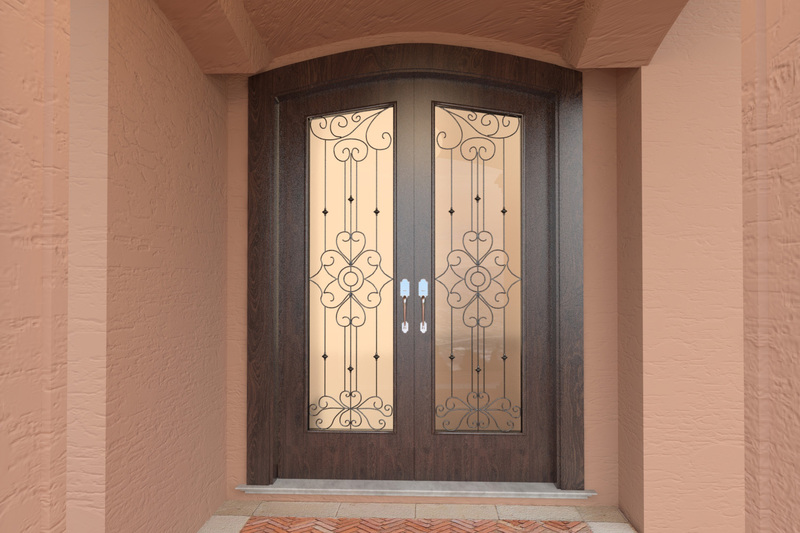 Beautiful 3D model front door with frame and windows with custom ornate iron fence. 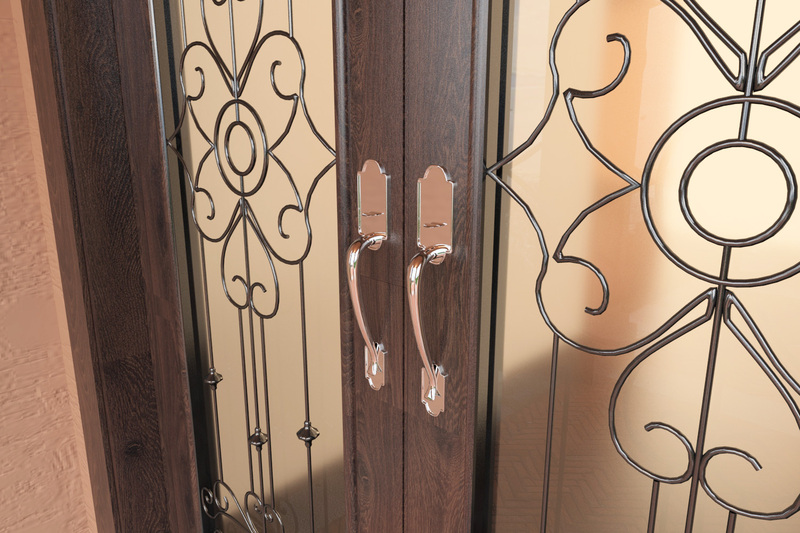 This 3d model entrance door have a iron cage that cover the glass for a very classic style house. 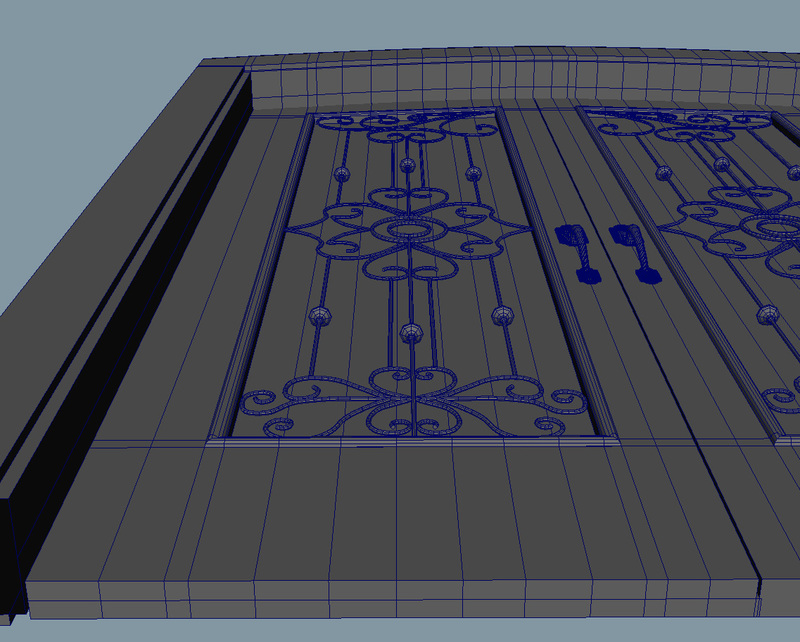 Download the entry doors archmodels from our home 3d models decals database. This 3d model is in OBJ format for any 3d software that support OBJ files import.